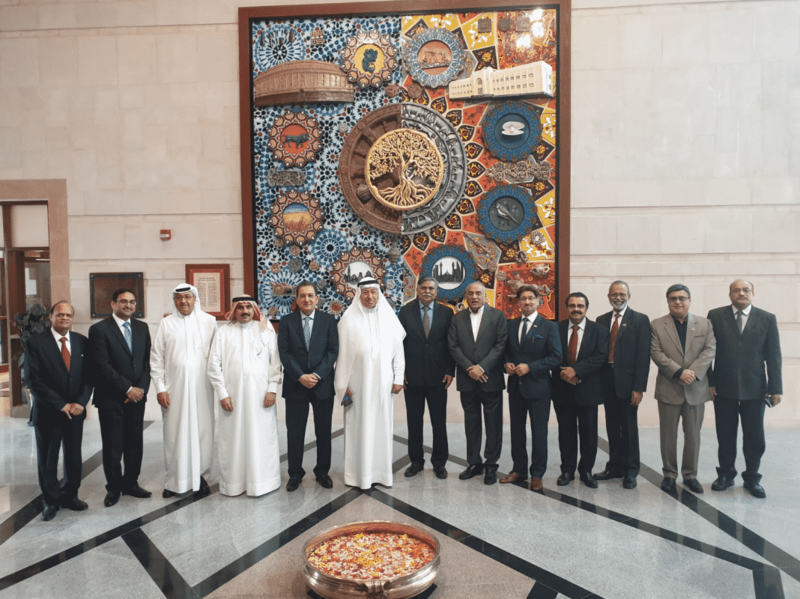 The newly elected members of the Board of Directors of Bahrain India Society (BIS) for the period of 2019-2021 called on H.E. Aloke Kumar Sinha, Ambassador of India to the Kingdom of Bahrain, who is also Patron of the Society. The Chairman Mr. Raj Damani, briefed His Excellency about the plans and programmes for strengthening the relations between Bahrain and India, which included exchange of business delegations, sponsoring of youth, cultural exchanges, organising art and cultural events and talks by prominent speakers. Mr. Kishore Mathur, Mr. Harish Gopinath, Mr. Abdulrahman Juma (Vice Chairman), Mr. Talal Al Mannai, Mr. Ahmed M.A.Jawahery, H.E. Abdulnabi Al Sho’ala, H.E. Aloke Kumar Sinha (Ambassador), Mr. Mohamed Dadabhai, Mr. Raj Damani (Chairman), Mr. Soman Baby, Mr. Madhavan Kallath (Secretary General), Mr. Vijay Boloor and Mr. Om Prakash, Second Secretary (Commercial), Indian Embassy. Mr. VK Thomas and Mr. PS Balasubramanyam were also present. Bahrain India Society was formed in 2008 by a group of leading Bahrain and Indian businessmen with a view to contributing to the development and strengthening of the centuries-old friendly relationship between the Kingdom of Bahrain and the Republic of India in a non-discriminatory, non-political and non-profit making manner.